Hans J. Vermeer played an important role in shaping Translation Studies as they stand today. He fought in many ways for the discipline to become more open. His many publications cover a wide range of subjects from translation theory and translation teaching to interpreting, not forgetting his seven-volume work on the history of translation, which is the most complete work in this field so far. It is easy to see how broad Hans J. Vermeer’s scope was, and how interdisciplinary his thinking was, by looking at the titles of his books. However, his name is most associated with skopos theory: a theory which was crucial to the development of the functionalist school of thought in Translation Studies. Hans J. Vermeer laid the foundations for his skopos theory in his lectures at FTSK (School of Translation and Interpreting Studies, Linguistics and Cultural Studies of the Johannes Gutenberg University of Mainz) in Germersheim over thirty years ago. A special issue of mTm will be brought out to commemorate Hans J. Vermeer in November 2012. The aim of the editors (Michael Cronin, Dublin City University, as well as Anastasia Parianou and Panayotis I. Kelandrias, Ionian University in Corfu) is to make the English-speaking world more familiar with Vermeer and his ideas. The guest editors for this issue will be Prof. Hanna Risku, University of Graz, Prof. Christina Schäffner, Aston University and Dr. Jürgen F. Schopp, University of Tampere. The Italian inTRAlinea online magazine of the Department of Interdisciplinary Studies in Translation, Languages and Culture at Bologna University dedicated its special issue on "Specialised Translation", published by Danio Maldussi and Eva Wiesmann, to the memory of Hans J. Vermeer. This issue includes an article in Italian on the influence of skopos theory in the area of specialised translation, especially in legal translation and localisation. An article in English also uses the concept "skopos adequate" as if it were now a standard tool for assessing translations. 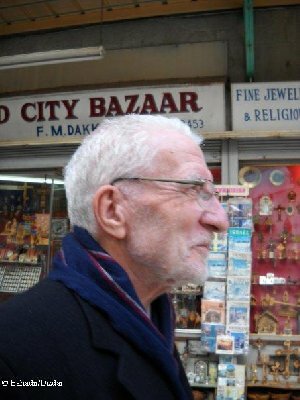 On 4 February 2010, Hans J. Vermeer departed from us. Like so many of his friends, we spent the day quietly missing him. However, we remember his remarkable life with joy and we are grateful for the years we shared with him. The German and Intercultural Studies Department at FTSK has reconstructed the Translation Studies library of Hans J. Vermeer. The library was a very generous gift from his family and contains books, journals, manuscripts and handwritten notes. This library is a record of decades of work by the well-known translation theorist. It is of great academic value and provides a precious source of information for students and researchers in Translation Studies.